“The all-new Volvo XC60 shows Volvos are still for smart people.” A total redesign of the compact crossover that has long been Volvo’s best-seller, it has shed the last of its Ford bones to ride on a lighter, stronger platform. 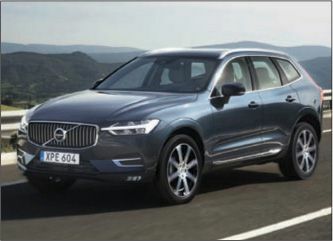 “Tastefully luxurious and premium in a restrained way,” the XC60 is built to be comfortable to drive, and “that it does very well.” Still, it’s in details like the way wiper fluid jets out of the wiper blades themselves that this Swede runs up its IQ score. Keep in mind, though, that a comparably equipped Mazda CX-5 costs $20,000 less and surpasses the Volvo “in metric after metric.” Unlike the nimble Mazda, the XC60 “rolls leisurely through turns,” and its steering “chatters rather nervously as you approach the limit.” The Volvo, to be sure, is “a lovely sculpture chiseled out of Scandinavian beechwood,” and it has a heap of impressive safety features. Even so, it’s not the better vehicle overall.